I finished translating through the theophanic vision of God in 3:3-15 this morning, and suddenly it hit me how vital this section is in the larger context. I used to view it as a very dramatic portrayal of God’s coming in judgment and salvation, but somewhat random in terms of how it fits into the larger message of Habakkuk, and especially how it relates to Habakkuk’s prayer in 3:2 and declaration of joy in 3:16-19. But today I realized that Habakkuk’s vision of God here in 3:3-15 is drawing from God’s saving deeds in Israel’s history, especially in the Exodus and conquest of Canaan. 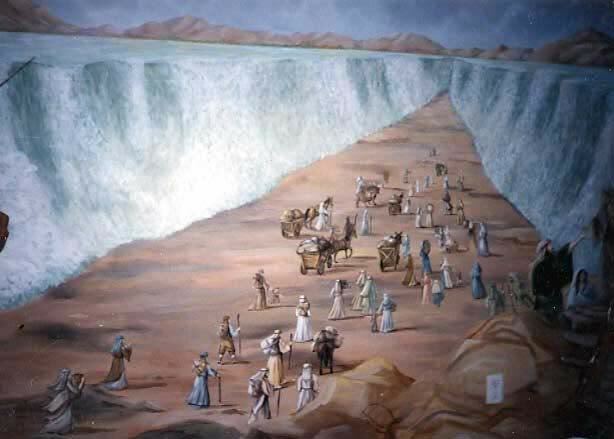 There are numerous similarities to the songs of Moses, Deborah, and David. Its not just a timeless vision of God in action, but a sort of collage of Israel’s past experiences of God’s salvation. For example, “Teman” and “Mount Paran” in verse 3 recall the journey in the wilderness to the promised land. The flashing rays of verse 4 recall God’s visitation at Mount Sinai. The torrents of water in verse 10 probably recall the drowning of the Egyptians. The stopping of the sun and moon in verse 11, according to most commentators, recalls the cataclysmic events in Joshua 10. Why don’t we pray like this more often?